The Historical Aircraft Group is a non-profit association that aims to discover, enhance and restore airplanes in flight conditions of historical value. 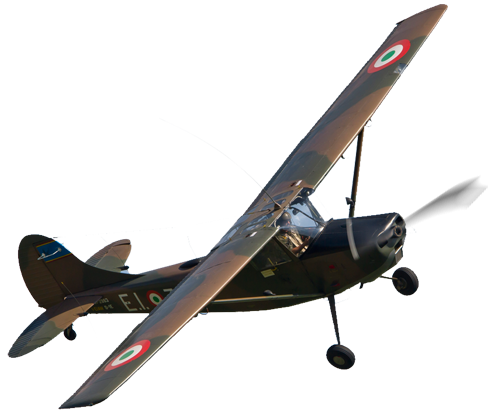 Officially formed in 2004 from the passion of a small group of friends with different backgrounds , the HAG has been able , within a short time, to carve out an important role in the panorama of Italian historical aircraft . 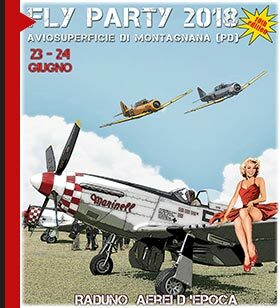 The Historical Aircraft Group caters to the large group of fans, drivers, collectors and historians interested in the preservation , dissemination and study of the problems related to the historical , technological and historical aircraft represent. An airplane town and ' the epitome of a wide range of topics ranging from construction technology to the thrusters to combinations of flight and last but not least the stories of the men , both in peace and in war, they contributed less than a century , the development of aviation. The HAG then as a common place for anyone who wants to offer or learn knowledge aimed precisely to aviation history and everything that revolves around , highlighting the outstanding commitment by individual scholars are likely to keep within the walls of the house. Our symbol is an anvil winged and encompasses several meanings. The anvil is the instrument par excellence of traditional craftsmanship , a symbol of creation and passion for the work , together with the wings, symbolizing the application of these values to the aeronautics. The anvil winged represents our desire to enable historic aircraft , resigned to demolition , to savor the thrill of flying , to revive , preserve and pass on a heritage often doomed to extinction . Our symbol , along with the motto " LABOR OMNIA VINCIT Improbus " is also intended as a contribution to all those aviators , engineers , specialists, of any nationality ' , which enabled them to progress in less than a century , this branch of the transport at current levels . The spirit of these men who often paid with their lives for their momentum towards progress , innovation and exploration of new horizons , there remains a testament to the best part of human nature, for example, and always refer to this generations to come . In order to present a more ' complete aviation history, the new website and ' was expanded with a new section " RESTORATION " which shows interesting references to technologies disused well ' stories indiduali aircraft , and ' has also been included a section on " VIRTUAL MUSEUM " which explains aircraft, engines and personal equipment to which fans and collectors can contribute , after registration all'HAG , with personal photos without first contacting the Webmaster . A Warm " Welcome Aboard "